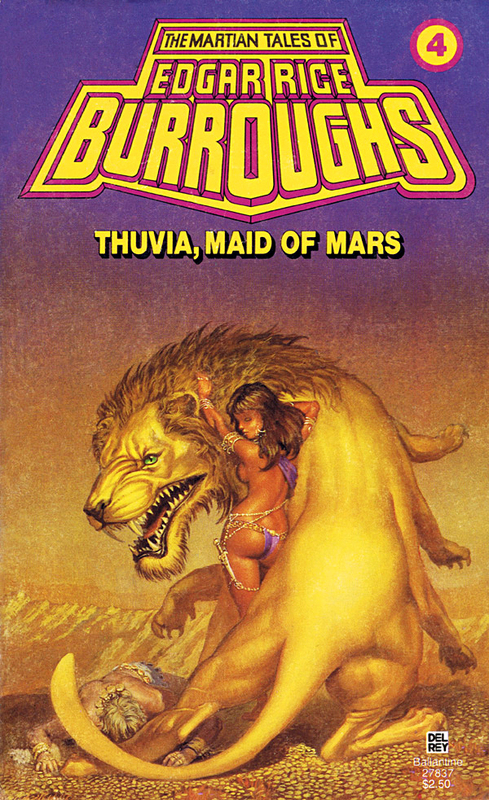 Paperback covers #5: The Martian Tales of Edgar Rice Burroughs | 'TAIN'T THE MEAT… IT'S THE HUMANITY! 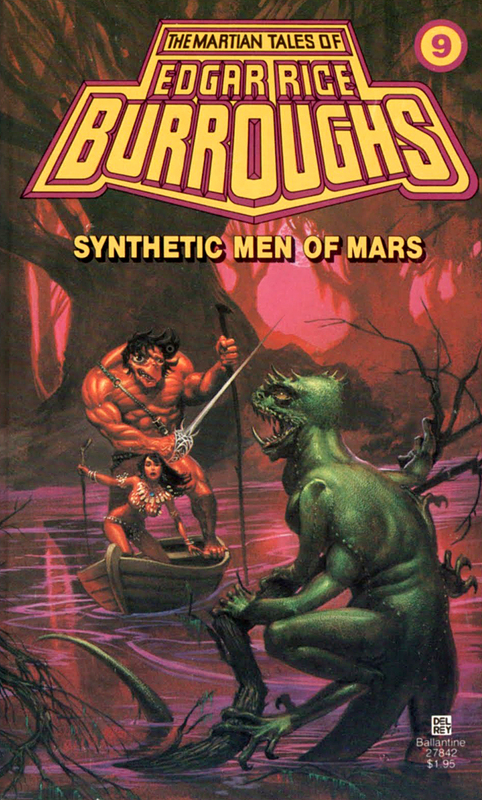 1912 was a good year for Edgar Rice Burroughs. After several uneventful years eking out a living as a ranch hand and other low income jobs, he turned his hand to writing fiction and in the space of a year saw the publication of his two most famous creations. One, a British Lord raised by apes in the African jungle, would quickly become a global phenomenon. The other, a Virginian gentlemen who travels to Mars, would take a little longer to achieve public recognition. 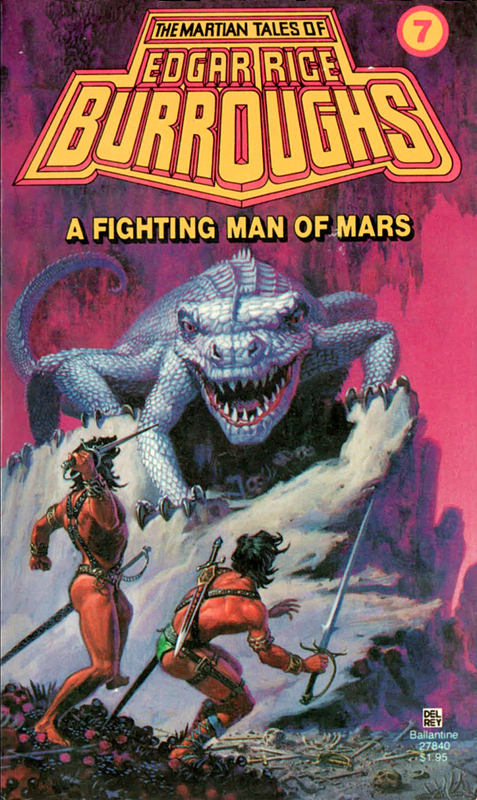 The first John Carter of Mars story was originally serialised in six parts in the pulp magazine All-Story between February and July 1912. 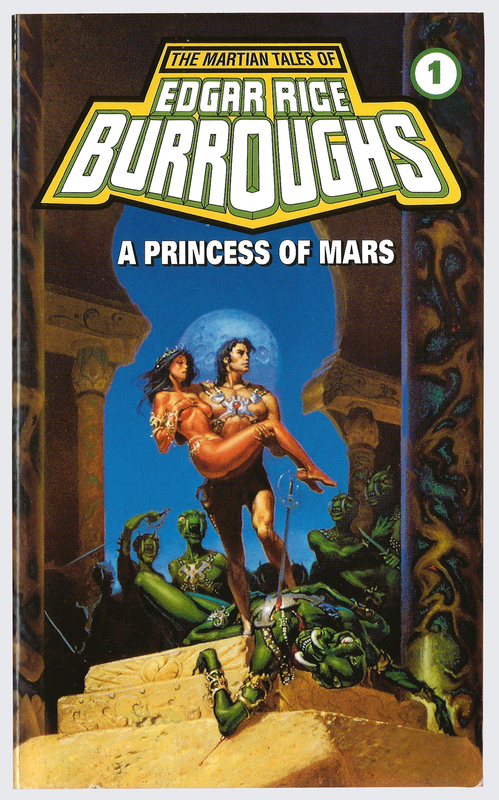 Thanks to the success of Tarzan the story was collected and published in book form in 1917 under the title A Princess of Mars. 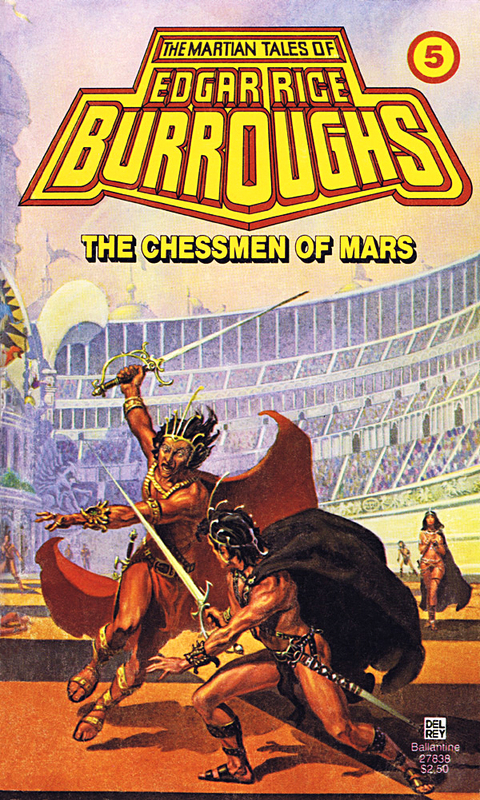 Ten more volumes of Mars stories were published over the next 50 years, although in some the character appeared only in cameo: The Gods of Mars (1917); The Warlord of Mars (1919); Thuvia, Maid of Mars (1920); The Chessman of Mars (1922); The Master Mind of Mars (1928); A Fighting Man of Mars (1931); Swords of Mars (1936); Synthetic Men of Mars (1940); Llana of Gathol (1940) and John Carter of Mars (published posthumously in 1964). 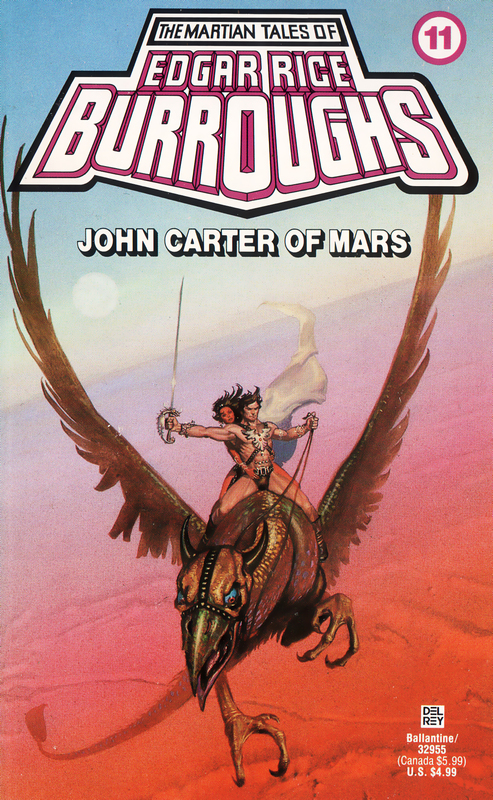 Although the character never achieved quite the same level of public attention as Tarzan, the John Carter books have a strong following and have never fallen out of print. In 1979 Del Rey Books relaunched the series and commissioned American artist Micheal Whelen to paint wrap-around covers to all eleven volumes. 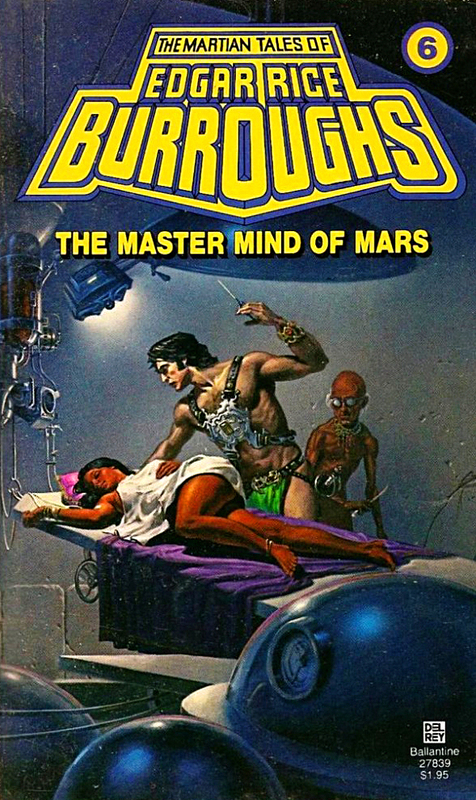 His covers are some of my favourites and his interpretation of the character, and Barsoom (Burroughs’ name for Mars), is by far the strongest I’ve seen. 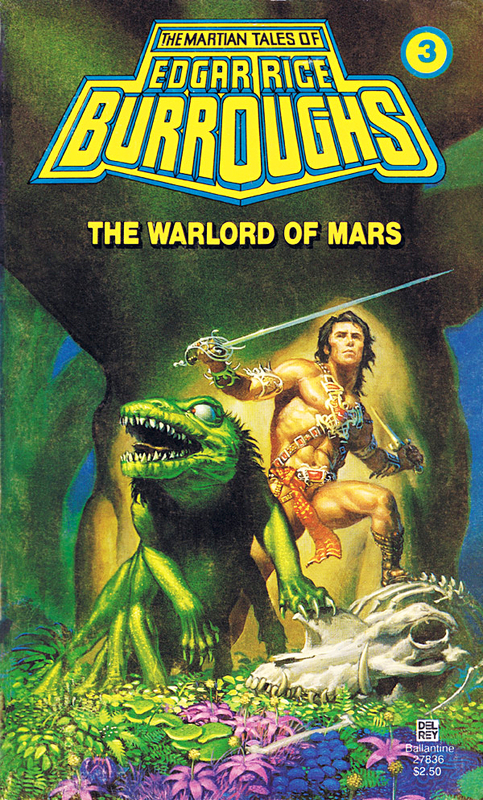 My first exposure to the character came via Marvel Comics’ short lived John Carter: Warlord of Mars series that ran from 1977 to 1979. 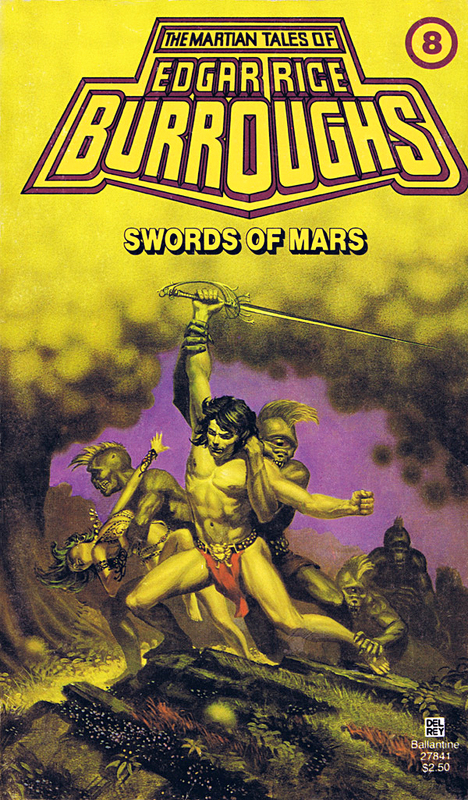 Although the stories were only loosely based on the plots of the original novels, they successfully reflected the high fantasy and excitement of Burroughs’ Mars, thanks in large part to artists Gil Kane, Dave Cockrum and Ernie Chan. After the comic was cancelled, and wishing to continue my exploration of Burrough’s world, I sought out the paperbacks. Luckily for me this coincided with the release of the Whelan covers and I quickly devoured all eleven volumes. Whelen’s artwork perfectly captured the feel of Burroughs’ imaginary world and remained very faithful to the source material. 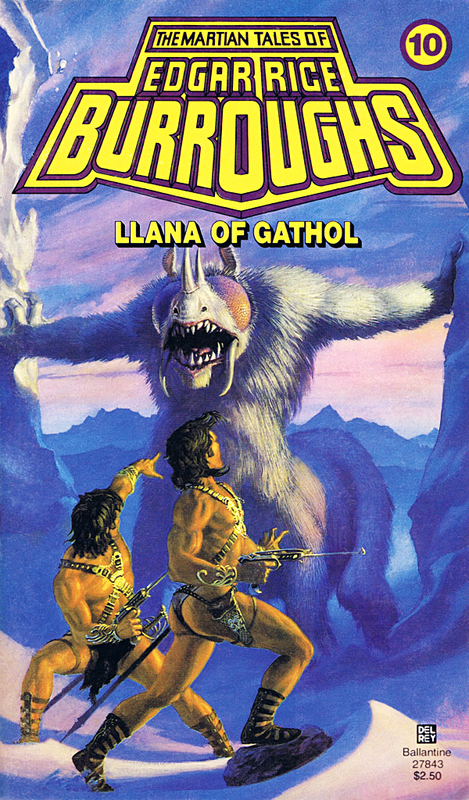 The creatures, such as the giant Thark Tars Tarkas, Carter’s faithful ‘dog’ Woola and the ferocious White Apes, are shown as Burrough’s described. 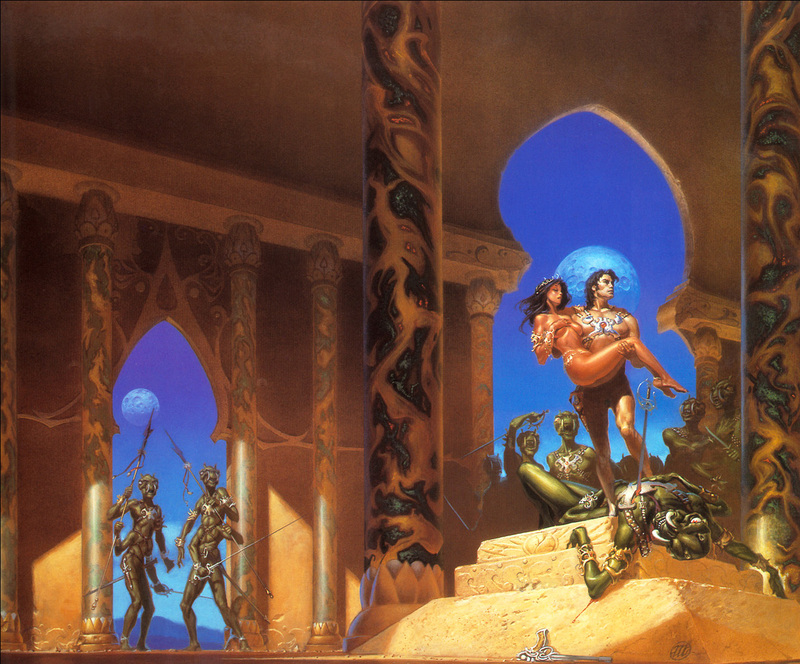 And, decency permitting, Whelen also depicted the characters wearing as little clothing as possible – not for titillation but because the characters in the books are nearly all naked. The budding graphic designer in me was also drawn to the typography of the main heading. That 3D looking text really made the cover jump out on a crowded book shelf and gave the covers a dramatic, movie poster sensibility. 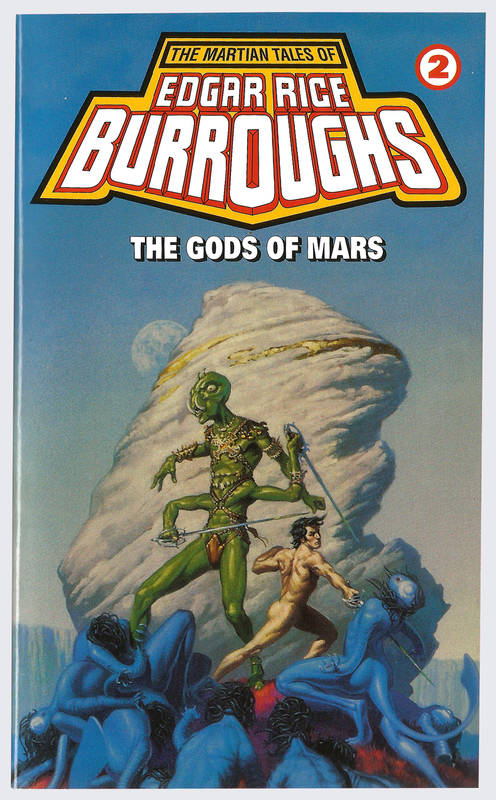 Whelen’s interpretation of Burroughs’ creation is so strong that even 30 years later I find that whenever I picture Carter, or Barsoom, it’s mainly Whelen’s images that I think of – his combined with a little of the Marvel character. (It certainly isn’t Taylor Kitsch from the disappointing John Carter movie from a couple of years back). 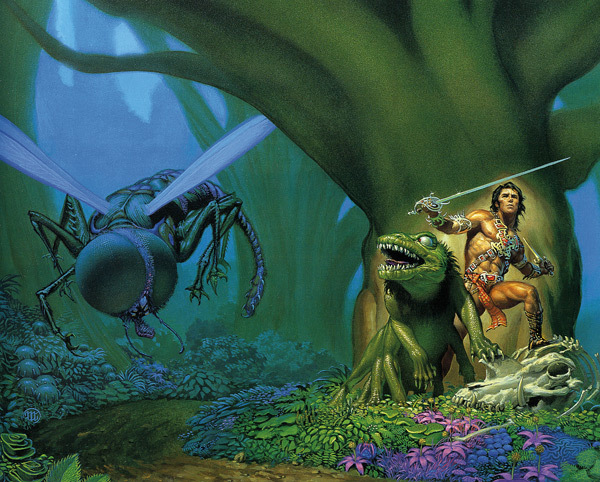 The Del Rey books featuring Whelen’s artwork have been reprinted a few times since 1979 with only one minor change. In the early ’90s the yellow of the main heading was changed to white, which I actually prefer as it makes the text jump out even more. I’ve attached images from all eleven books to this article as well as a couple of examples showing Whelen’s uncropped artwork that includes the area on the left that wrapped around onto the back cover. I’ve also made the files quite large so you can fully appreciate his artwork, so please be patient if the files take a few seconds longer to download.